Seasons are changing, metaphorically and literally. 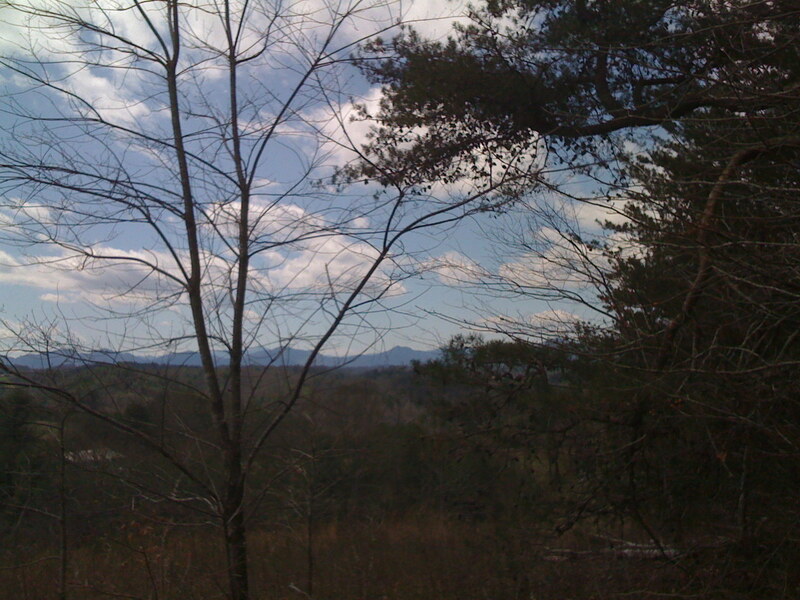 Last Saturday, my sister-in-law Cindy and I hiked up a trail near Weaverville, North Carolina. The trail twists and turns up to the old Rattlesnake Lodge and the ruins of a stone pool. At the turnaround point, there was a little fresh water spring, clear and cold, from which we drank. We talked about recent events as we walked; what the future might hold. We talked about family, and Cindy’s daughters (my nieces) who just lost their Daddy. We talked about how important it will be to make the next few years really special in other ways. We talked about my brother, John, and how crappy this whole deal is. We talked about how important it is to be with family, especially in times like these. We stopped to admire the view more than once. 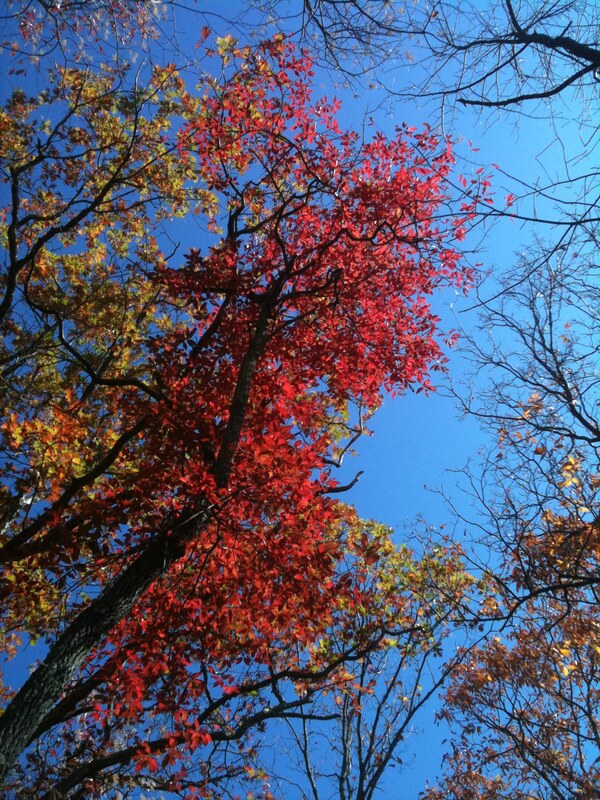 The leaves were scarlet and gold, and we looked down at the cars crawling along the Blue Ridge Parkway. Weaverville is a great little town; warm and welcoming. I hoped it was about to welcome a couple more people… I had a job interview after that hike. I went back to Cindy’s house and got ready, then drove into town to meet with Joe Eckert. Joe and Joan Eckert opened a restaurant/pub in Weaverville last spring called Jack of Hearts. It’s the last place I had a beer with my little brother, John. It is where we held the celebration of John’s life and told stories and sent him off to his new plain of existence. Now it is where I will work. Yes, I got the job! The mountains of North Carolina have tugged at my heart for several years now. Beside the fact that my family resides there, my husband, John and I have a few acres and a little home. We love the hills, the tall pines, the silence when you’re above the noise of the nearest road. We love the morning fog in the swags between hills, how it burns off slowly as the sun warms the ground. We love being able to walk down to the French Broad River where we can watch the sun bounce off the baby rapids. And we love each other… so much so that my John is willing to walk away from everything he knows and start over with me. For the first time in 25 years, I will be able to see my parents whenever I choose. I will be able to go to the Farmer’s Market with my sister on Saturday, and listen to her husband play great guitar. We will get to be a part of Cindy’s life, to cheer my nieces on in whatever challenge they are tackling. Our journey has begun. We have a lot to do in a little time, so you won’t hear from the Mental Farmer for a bit. Rest assured, I will be back. In fact, there is a little farm affiliated with Jack of Hearts, where they grow the herbs for three restaurants. 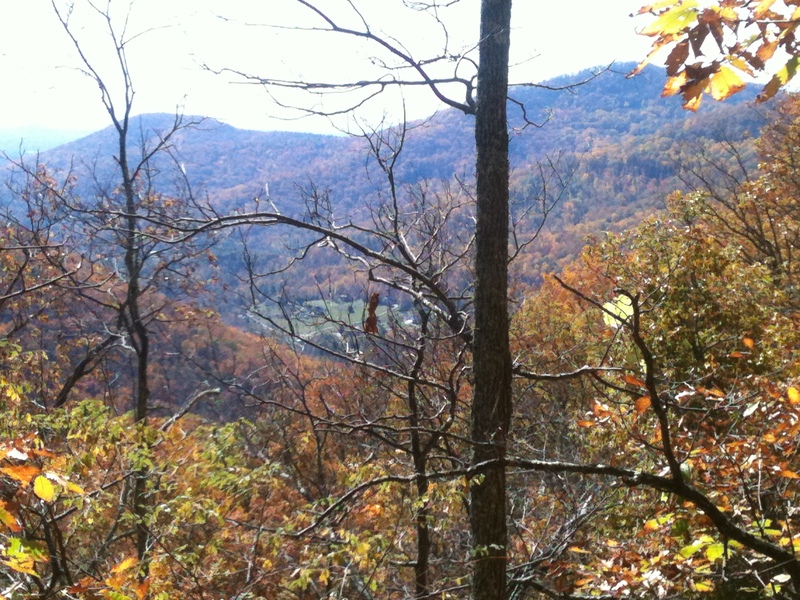 And the mountains of North Carolina are covered in small, organic farms. Hmmm…. P.S. John and Charlotte of Nadig Family Farm, I have not forgotten that I owe you a story. It’s coming! Congratulations on your decision – you made the right one and that is to follow your heart. Sometimes it takes a tragedy to realize it (unfortunately). This sounds so lovely Mary!! What a beautiful way to ease your pain and that of your family a little!!! The very best of everything to you and John!! I’m working on a way to move to Tucson as soon as I can. I have a wonderful cousin there, the cost of living is much less and NO WINTER! I’m so glad for facebook that we’ll be able to keep in touch! Best wishes in your new adventure, Jennifer! Mary, My favorite of your blogs so far, it made me cry – sad tears and happy tears! I am soo happy for you and John starting over and being where you want to be. Your family is lucky to have you! You are a special lady and I am so glad I got the chance to know you – let’s keep in touch! Enjoy your new life – you deserve it! Wow! You never know where life takes you. Congratulations to your new life. I too think you both made the right decision. Being with family is what life makes worth living. I wish you all the best! Down the road, I do hope that you will find the time again to visit farms and write about them on your blog. Every best wish to you and your family! I will DEFINITELY CONTINUE to visit farms and write about them! So sad, So glad. I will miss my little brother John & you, but I’m happy that the two of you will begin a new life together in Ashville. Remember, the family will visit so keep a room free for us. I certainly hope you will visit! You know how I feel about your move…Happy and sad at the same time, but Sister (Your Mom says you are my Sister now) I’ll be down to visit and you better get up here and party on my porch next Spring!! Life is a bunch of transitions, and I’m glad this will be a good one for you!! John can use our spare bedroom anytime to get a “northern exposure” if he feels the need!